In this article, we will discuss “Surface Active Structure System” with examples for better understanding…. In my earlier articles, we discussed “Structural Systems in the Post Modernist Period” and “Development of Suspended Structures“. Reading about different types of Structural Systems and their basis and purpose of evolution will help you understand the varied concepts of Structural Systems. In this type of structure system, a thin curved structure is so shaped to transmit applied forced by compressive, tensile and shear stresses that act in the plane of the surface. They are usually constructed of concrete reinforced with steel mesh. Shell construction began in the 1920s; the shell emerged as a major long-span concrete structure in postmodernism. Thin parabolic shell vaults and even complex forms i.e. hyperbolic paraboloids stiffened with ribs have been built with spans up to about 300 feet (90m). Thickness of the shell with this system can be achieved even less than 0.5 inches (1.25cm) thick. 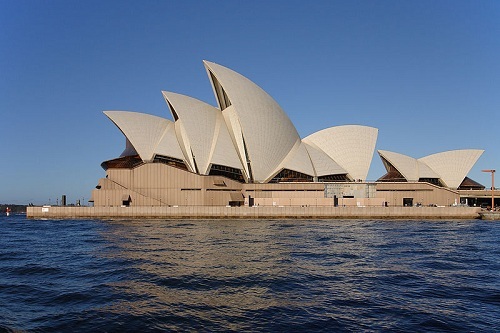 One of the most famous example of this is Sydney Opera House. The shape of this majestic structure has been achieve with the help of plastic behaviour of the material. In this, the shells were constructed out of 2400 precast ribs and 4000 roof panels in an on-site factory. By this solution, they were able to avoid the need for expensive formwork construction. The roof tiles were made out of prefabricated sheets. The shells were supported on adjustable steel truss which supported the roof at various levels. It was completed in July 1967. Another example of the shell structure in India is Bahai Temple at New Delhi. 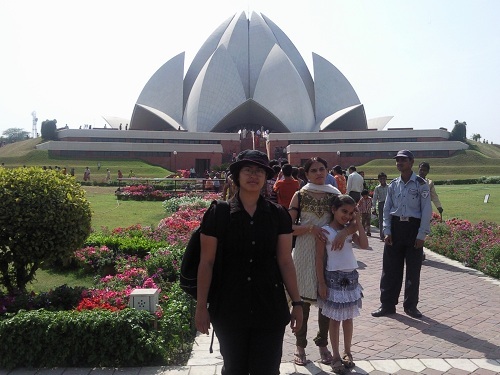 Bahai Temple is also popularly known as Lotus Temple. This majestic structure is composed of three layers of nine petals; each springing from a podium elevating the building above the surrounding plain. The shell structure resembles the petal structure of a LOTUS, hence called “Lotus Temple”. The first two ranks curve points towards inward, embracing the inner dome; the third layer curves outwards to form canopies over the nine entrances. The petals are constructed out of reinforced white concrete cast in place and cladding is done with white marble. Nine arches are provided to support the superstructure ring of the central hall. Since the structure is composed of three layers of nine petals, nine reflecting pools have been constructed and surround the building on the outside, their form suggesting the green leaves of the lotus flower. The closeness of the petals severly restricted workspace. To avoid construction joints between petals; concreting was done as a continuous work for approximate 48 hours. Even the task was carried out entirely by the local labourers. Care was taken by the Structural designers to see that no rust stains occur on the white concrete in humid conditions. This was achieved by galvanization of the reinforcing steel in the petals. Ultimately the thickness of the shell structure came out to be of 6 to 18cm.